Ladies Adjustable Cane With Round Handle is a smaller version of the Men's Round Handle Cane. The smaller round hook style handle fits the hand of a woman. 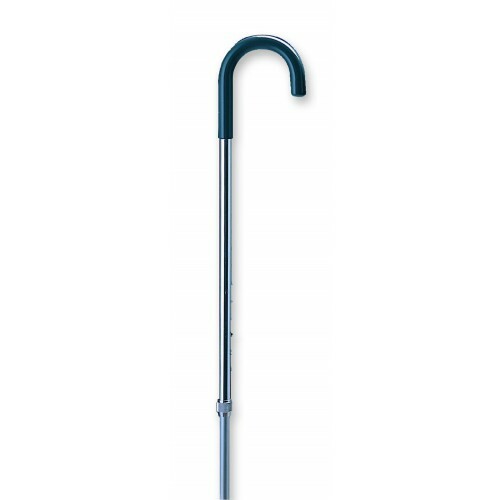 Manufactured by Carex, the Ladies Adjustable Cane is sturdy and reliable. When not in use, the round handle is ideal for hooking for storage. 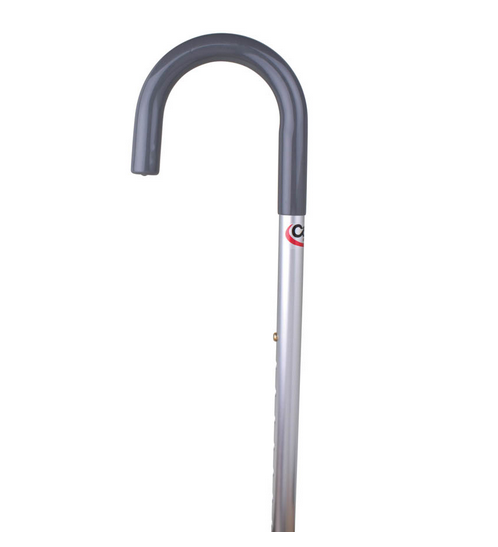 An attractive aluminum scratch resistant finish keeps this cane looking great. This Lightweight Aluminum Cane is easy to use. Equipped with a push button adjustment, the height of the cane is easily adjusted to your specific needs. Aluminum Cane Product Number: A76100. Height adjusts from 29 to 38 inches. Carex Adjustable Cane Warranty: Limited Lifetime.